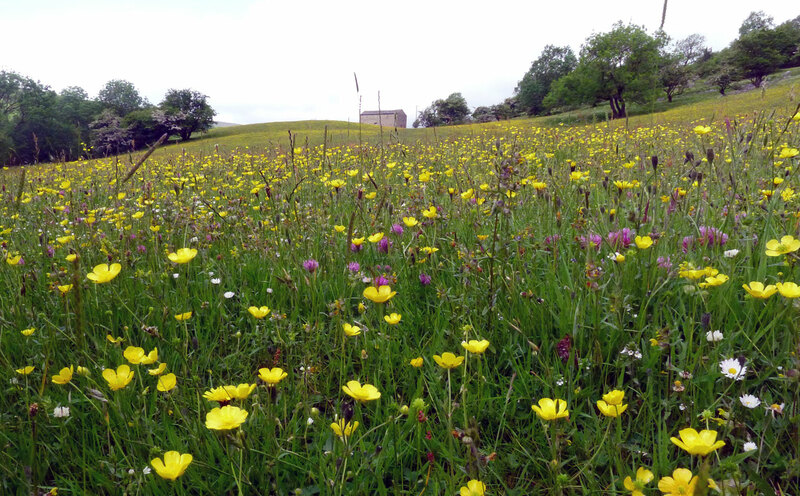 Six species-rich meadows make up the Yockenthwaite Meadows SSSI (Site of Special Scientific Interest). In each meadow the central slope is left uncut but the whole site is grazed and this results in the fields having elements of both pasture and hay meadow vegetation, including Wood Crane’s-bill, Pignut, Common Knapweed, Bird’s-foot Trefoil, Autumn Hawkbit, Devil’s-bit Scabious and Salad Burnet, as well as three species of orchids. Species to spot: Wood Crane’s-bill, Pignut, Common Knapweed, Bird’s-foot Trefoil, Autumn Hawkbit, Devil’s-bit Scabious, Salad Burnet, Orchids.